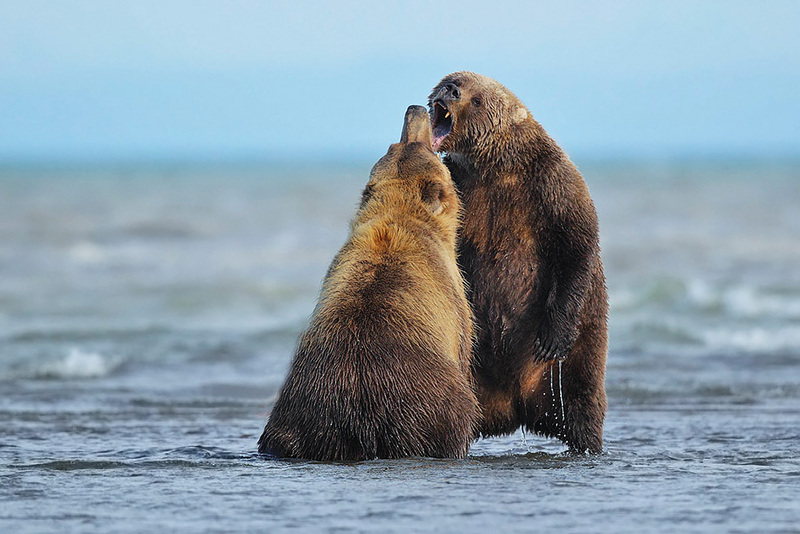 2014 marks the 6th year that I’ve leading this exciting photo tour to Lake Clark National Park in Alaska to photograph the coastal brown bears. I always very much look forward to this trip and it’s become like going to see family when I visit the Silver Salmon Creek Lodge. Their hospitality is second to none. I had a great group accompanying me this year. Michael, Christine, Norm, Mike, John and Jeannie. I timed the tour to coincide with the peak of the silver salmon run and the most favorable tides for fishing bears and shooting light. 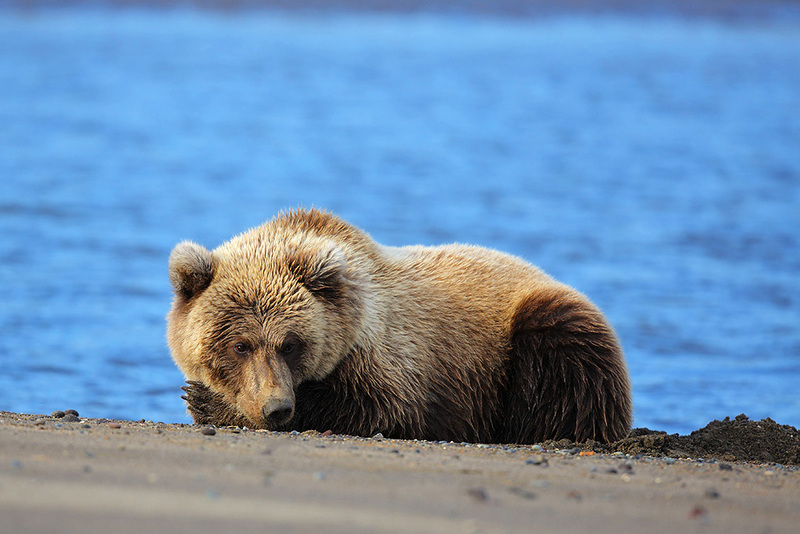 Having 2 low tides a day, during shooting times, gave us many great photo opportunities to photograph the bears fishing. My group was enthusiastic and definitely put in the time required to capture great images. As usual in Alaska we had a variety on weather conditions and you nearly always have some rain to deal with during the week. We lost a good portion of one day to some very heavy rain. When the rain is light we always go out to photograph. 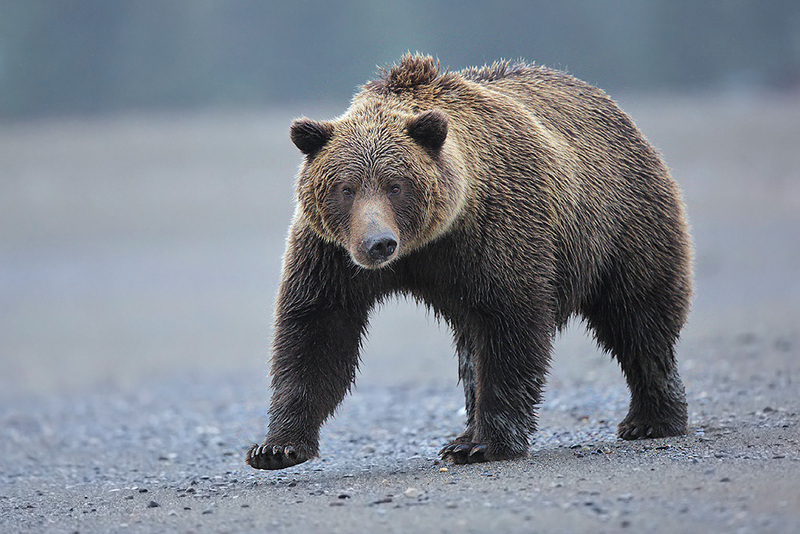 I like the look of the bears when they’re wet and the soft light is excellent. The 2014 salmon run seemed stronger than the past few years. 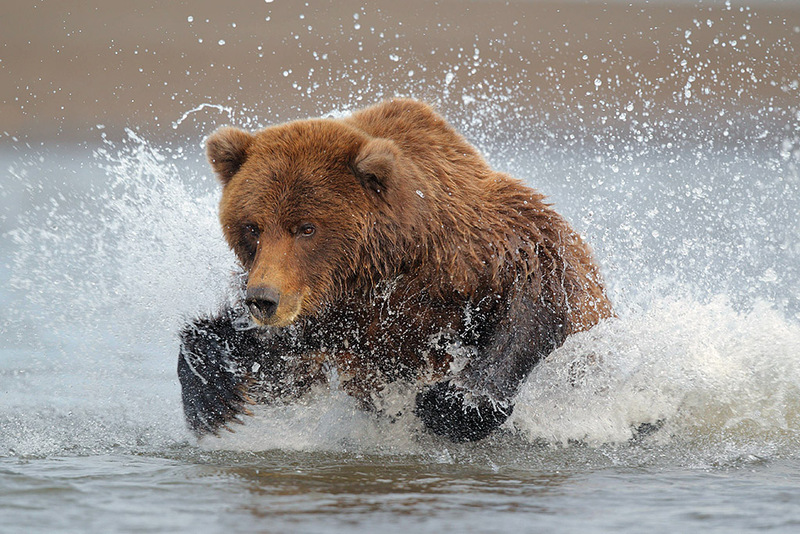 We had lots of salmon running upstream and some very large silvers were captured by the bears. 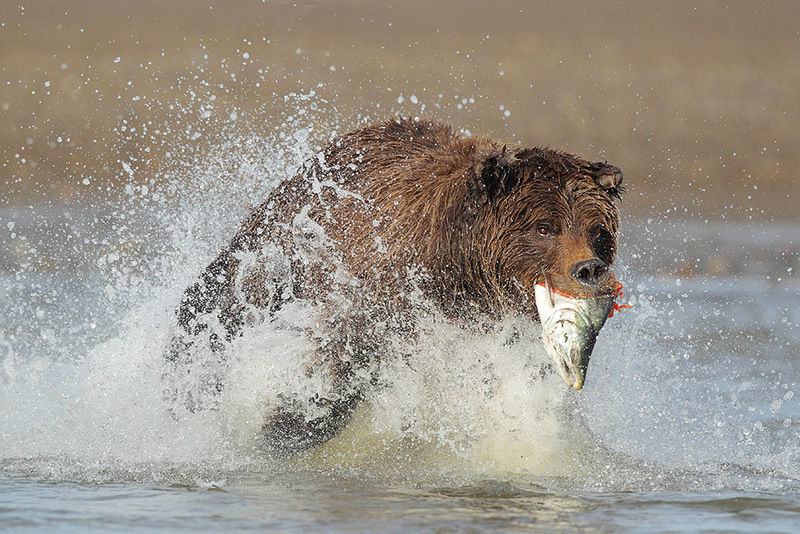 Bear numbers were not real high but we had plenty to choose from and lots of great action. We had a sow with a 2nd year cub and 2 sows with twin cubs of the year. No boars were seen as they usually disappear after the mating season in May and June. Having some cubs around always delights the photographers since the provide many wonderful photos. The bears were protective of their fishing holes and we had several confrontations when a bear trespassed on another bears favorite spot. 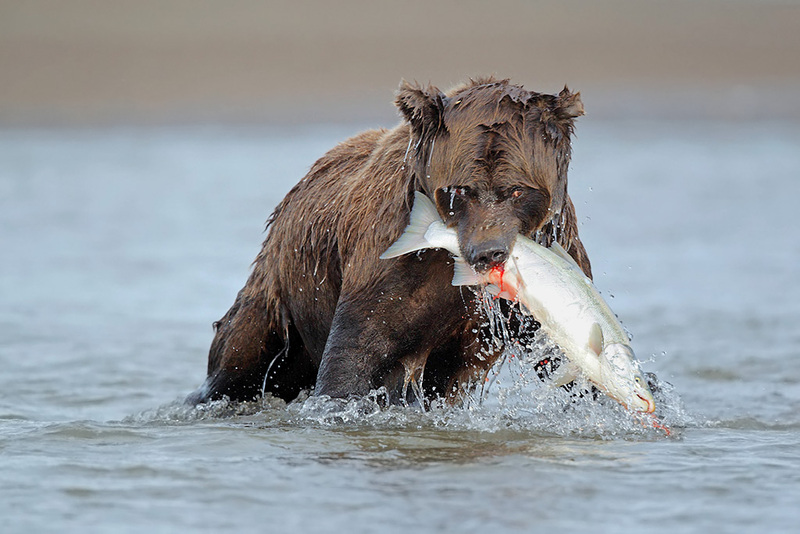 This bear would chase salmon while keeping its meal in her mouth. 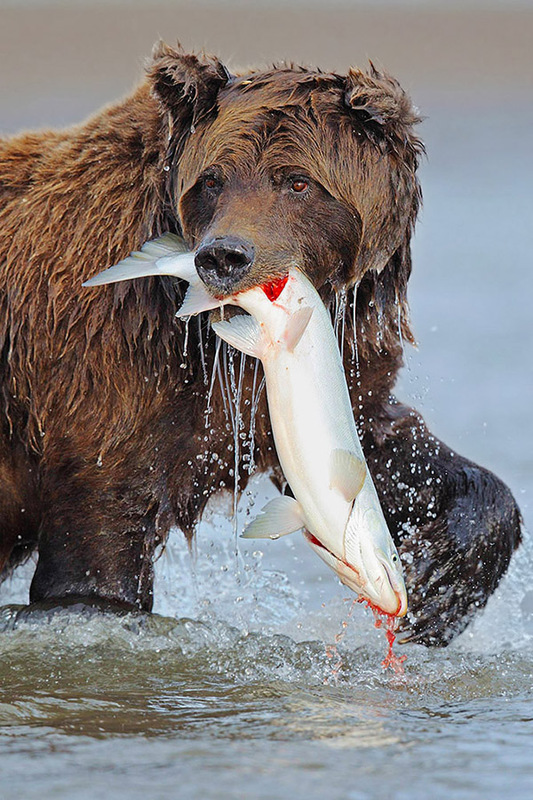 They bears seem to catch the salmon with their front paws before grabbing it with their mouth. 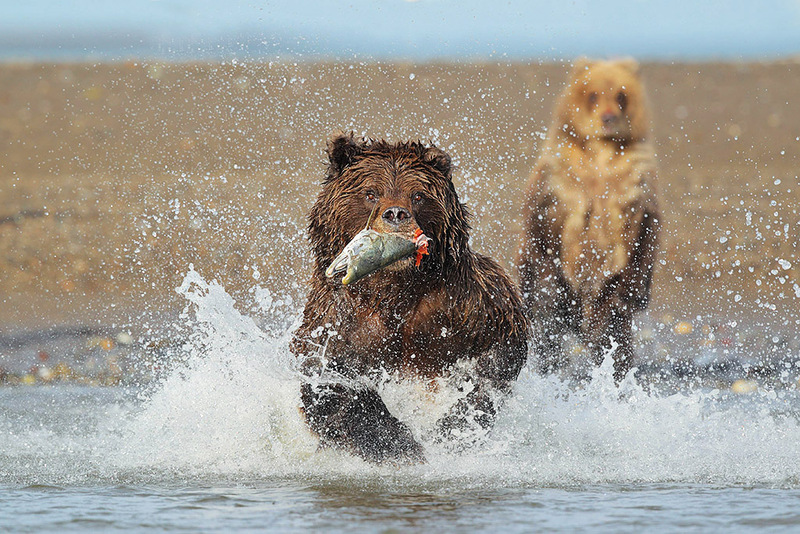 So when she would catch the salmon she’d drop the one she was carrying. An interested cub looks on trying to learn moms fishing techniques. 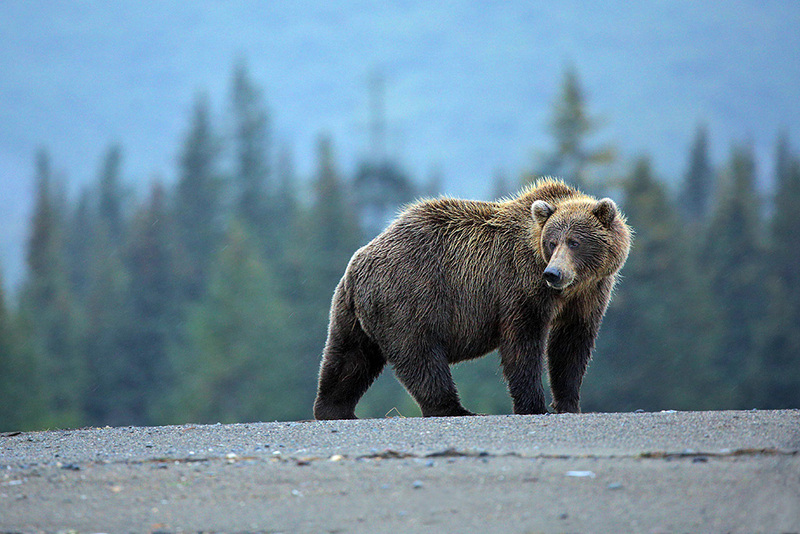 Much more to come in part 2 of this trip report including an incredible fight between 2 bears.